HAVING to suffer the indignity of being pursued by a debt collection agency is not a good situation to be in. But just imagine how you would feel if the debt you were being chased for was not yours in the first place. That is exactly the situation that Linda Lorimer found herself in recently. 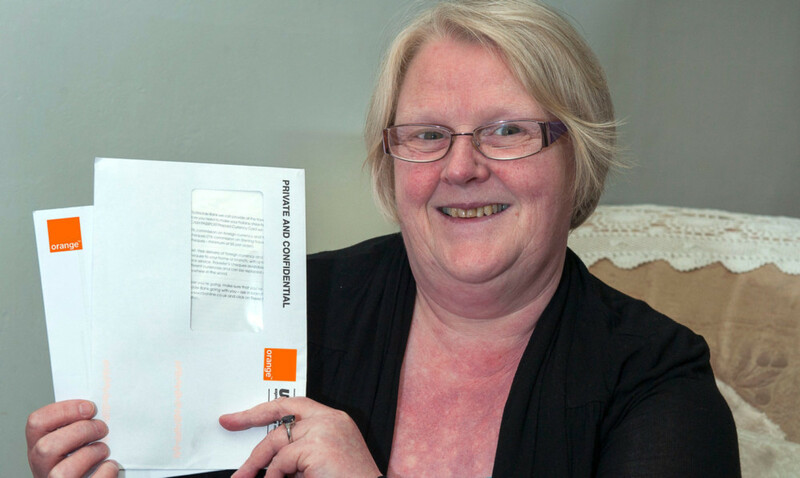 Linda, from Aviemore, received a demand letter from a debt collection firm back in November 2011. It said that Linda owed £128.49 to Arrow Global Guernsey Ltd., for the original creditor Orange (now Everything Everywhere). Linda phoned the debt collection firm, telling them that she had never had an account with Orange. She was informed that she would have to contact the police as it could be a fraud. Linda did indeed contact the police and was given a crime number. The police asked Linda to get bank statements and this was done at a cost of £15. These showed that three separate payments had been taken by Orange from Linda’s bank account. On November 13, 2007, £53.00 was taken, then on November 28 a further £92.75 was taken before finally, in January 2008, £86.83 was removed. Linda says the reason she never noticed the payments going out at the time was down to the fact that she was in the process of moving home. Buying stuff for her new home meant there were a lot of comings and goings from her account at that time. The police have since discovered the phone that the account was linked to was in England. On receiving paperwork in January of this year Linda phoned Orange regarding this but no one got back to her. Linda got an address for Orange in Darlington and wrote to them, but again got no response. The straw that broke the camel’s back was when Linda received a demand from another debt company on behalf of Arrow Global. Linda contacted them and they agreed to put this on hold. That was not good enough for Linda and she emailed Raw Deal to see if we could bring this episode to a close for her. She told us she was very unhappy at being hounded for a debt she had nothing to do with. We contacted Orange and this was soon resolved. A spokesperson told us: “Thank you for bringing this case to our attention. “We have investigated the account and have confirmed that it was set up fraudulently. We have now closed the account and cancelled the debt as well as sending a cheque for £305.86. Linda said: “I received notice that I would receive a cheque within 28 days and I am pleased to be able to tell you that the cheque, including a goodwill gesture, for £305.86 has now arrived.